这两家大隐于市的博物馆，你也许会喜欢 - Florence is You! If there is one thing Florence is not lacking, that is a large of number of museums. One Firenze card allows you to visit 72 museums in town in 72 hours. From this information alone you realize the sheer number of museums in this small city. No need to mention the very well know Galleria degli Uffizi and the Accademia.No need to add details about these big shots, but there are museums in city centre of Florence that are not crowded by tourists, while they are definitely worth a visit. The church of Orsanmichele lies on the busiest street of Florence: Via Calzaiuoli, between the Duomo and Piazza della Signoria. The name Orsanmichele means “the kitchen garden of San Michele” in Tuscan dialect. “Dramatic” would be the appropriate adjective to describe the history of Orsanmichele church. It used to be a grain market when just built. After decades it became a monastery, then a church, working as an office and a granary at the same time. Now, it is back to being a church and also a tourist site. It is rather easy to spot it on the crowded street: it shows 14 niches caved on the outer walls around the church, in each niche standing a statue. For instance, St. John the Baptist, Christ and St. Thomas, or Four saints. Due to the protection of precious arts, what we see on the walls now are replicas. The original works are kept inside the museum of Orsanmichele, where the granary used to be. Except one: “St. George” by Donatello, being replaced by a bronze copy in 1892. The original is placed in Bargello museum. While the statue of Christ and St. Thomas was replaced by Donatello’s St. Louis of Toulouse, now in Santa Croce museum. The museum of Orsanmichele only opens on Monday, from 10am to 5pm, free entry. 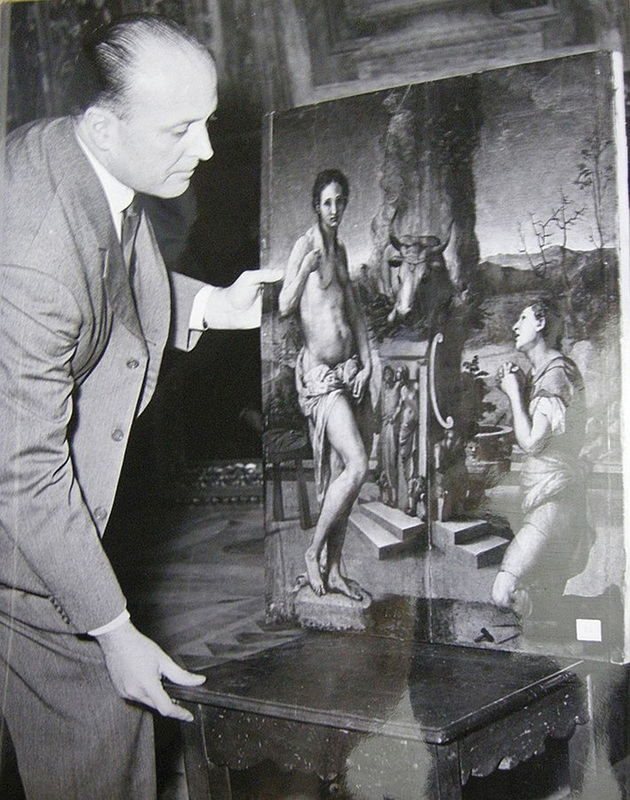 Rodolfo Siviero was called “the 007 of art”, because of his effort in recovering artworks stolen from Italy during the World War II. From 1944 until his decease in 1983, he had been working intensively to successfully artwork retrieving. Everything was kept in his house in Florence, which he donated to Tuscan Region before he passed away. Every work was maintained in good condition. This house, Casa Museo di Rodolfo Siviero, stands right next to Arno river, few steps from Ponte Vecchio. You might have walked right past it without realizing how many remarkable artworks are there. The museum is free to enter, but only opens 3 days in a week. Sunday and Monday: 10am-1pm; Saturday from September to June: 10am-6pm; Saturdays in July and August: 10am-2pm; closed if the opening day happens to be public holidays.